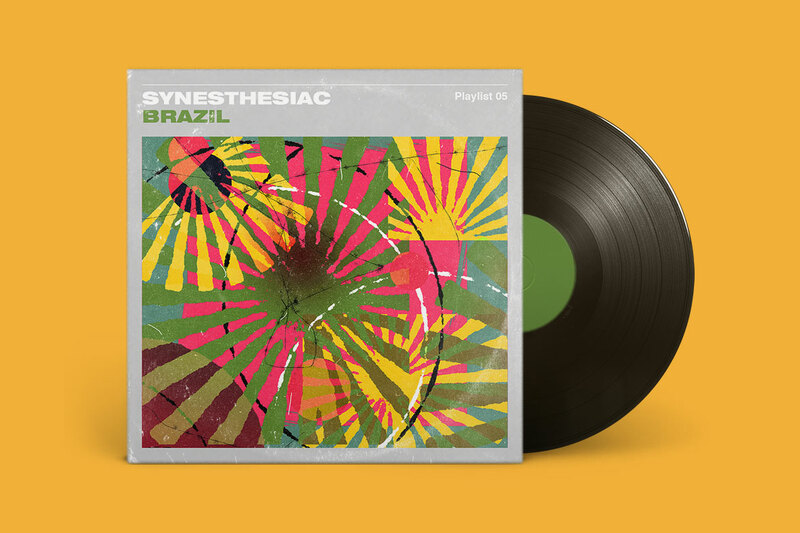 For this edition of Synesthesiac, get your headphones on and let Shai Samana take you on a journey to the beaches of Bahia, Brazil, with a playlist that you can both work and move to. I knew of bossa nova, a genre of Brazilian music, long before my recent journey to Brazil. I would listen to Matti Caspi, an Israeli multi-instrumentalist musician and composer that devoted much of his work in the late ‘80s and ‘90s to the bossa nova groove, and its translation into Hebrew. Hearing Caspi’s music sparked an immediate connection to the causal flow that makes bossa nova so distinct. This ease, this lightness, sounded like a shift; the movement between having all the time in the world, sunbathing on one of Bahia’s striking beaches, to the wild rush of a night filled with samba in Rio de Janeiro. The last week I spent in Rio was spent at my friend, Pedro’s, apartment, a space swamped with Brazilian records, local magazines, Portuguese books, and loads of pictures. It was there that I was reintroduced to Caetano Veloso, Gal Costa, and Secos & Molhados, Pedro’s musical, cultural, and personal heroes. Pedro walked me through the roles these musicians played in creating an opposition to the military regime of 1964 Brazil. This musical movement, known as Tropicália, acted as an atmospheric boost or a rush of youthful, optimistic energy that spread throughout the Brazilian arts and shaped social change. As I learned more and more about Brazil, the story of Tropicália made much more sense to me. I knew that beats and chords – combined with the lush and upbeat tempo of Portuguese sounds – turned this music into an immersive experience. Even as a foreigner, I felt connected to the music; I experienced Tropicália as a warm and open invitation. Much like the Brazilian people, Tropicália lures you in, suggesting you become a part of something larger than yourself, that in spite of all possible differences, you will feel just right. That feeling can connect music, people, and places, and allows a fantasy about freedom, solidarity, beauty, and love. This Caetano Veloso performance of ‘How Beautiful Could A Being Be’ with his son, Moreno Veloso, is the essence of my thoughts and feelings about Brazil. Father and son, black and white, Portuguese and English, feeling at home, feeling a part of the tradition. Music is in us; the way you move with music is part of your DNA, the power of one sentence when it plays repeatedly, and the way music creates a whole world of optimism and a tidal rhythm among us all. This flow of songs can only evolve, change, and head to new directions. Right now, this playlist might be the most accurate description of my own, personal, experience of Brazil. After all, it was the music that drove me to Brazil, and it’s the constant that followed me throughout my journey and is still present, today.